Houseboat INSIDER - The Economy and Money Saving Tips! If you're a newcomer to the Insider, we welcome you, and do enjoy your stay. This Months Question: Will you let the economy stop you from houseboating this season? Or will you strike back, and simply reduce your operating budget and expenses, in order to continue boating? The reason is, Manon and I have always agreed that houseboating, is one of life's most important moments together! We're grateful because our houseboat is filled with many friends, family, and so many great memories, that we would do whatever had to be done, in order to keep houseboating! So with that in mind, let's put our collective thinking caps on, and share some of those simple budget helping and money saving tips, that can help houseboating families everywhere make it through this tough and delicate economy. What's New, and been happening this month. Here's the latest Articles, Tips, and Reviews. 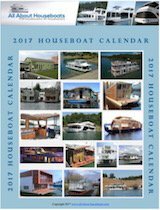 Added new sections on Houseboat Books, Videos & DVDs. In order to help as many of you as possible, I have added two new sections to the site. One section is a collection of popular and excellent Houseboat and Boating Books. The other section that we added is big library of Houseboat and Boating Videos and DVDs for folks that enjoy more watching and listening, rather than reading. Our two Big Projects for the Site are Almost Ready. Both the Houseboat Shows were a great Success. Even though that the weather didn't place nice, both of the shows were very busy and were a success in the greater sense of the word. Houseboats were bought and sold, they were financed and transported, and the crowds were looking forward to the warmer weather. The houseboat seminars that we gave at the Kentucky Show was also a great hit. Houseboat Advertising = Targeted Traffic and More Sales! Attention to all the related businesses, are you looking to increase traffic and sales? Our advertising rates will be reasonably priced, and will drive sales your way. It's coming shortly, and if you would like to know more, and be added on our notify list, send me a quick note to let me know. The Family Houseboat Economy - any Budget and Money Saving Tips? Let's look at the family houseboat economy, and see if there's any expense, budget, or money saving tips that can help families this boating season. Houseboat Marine Fridges - is an LP Propane or Electric Refrigerator better? Houseboats and Hurricanes - Do they Move or Transport Boats to Safety? Steel Hull Houseboats - How to Check for Serious Rust Issues before Buying? Houseboat Windows - Repairing or Replacing Windows, and Seals? Houseboat Steering - Bow Stern Thrusters, or use Twin Rudders? Build your own Houseboat - Any plans for house boats, and a man's dog? Small Houseboat Bathrooms - need head space for toilets on house boats? Houseboat Building or Repair - What plywood, exterior or marine grade? Houseboat Options - Timeshare vs Shared Ownership vs Rentals? Is RV motor-home and houseboat living, a possible lifestyle choice? Houseboat Dock Slip Fees - What Prices or Rates, do Marinas Cost or Charge?